TNA Wrestling just published an article on their official website where they announced several key elements for the company moving forward. Coming off the heels of one of TNA’s highest-attended “Bound For Glory” Pay-Per-View events to date, TNA Wrestling announces a 24/7 cross-platform programming initiative, “Where Action Never Ends,” beginning today. Marking an evolution in the way fans experience professional wrestling, through this initiative, cameras will be rolling on the TNA superstars at live events, on the road and in their homes, giving viewers the chance to experience IMPACT Wrestling 24 hours a day/7 days a week. 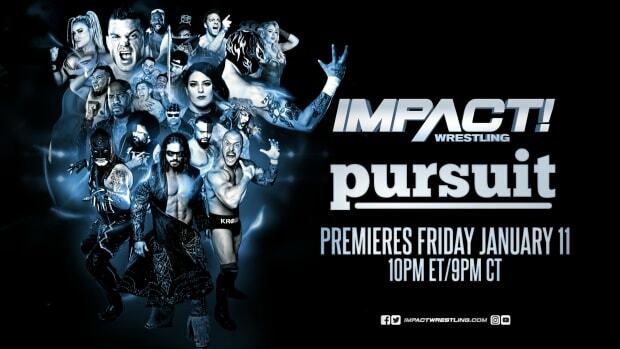 How this will work: Fans will see compelling, “cameras everywhere” content infused into IMPACT Live on Spike TV every Thursday from 9-11 p.m. ET. For the remaining 166 hours of the week until the next show, they will also have the chance to see many of the wrestlers they love and storylines they follow unfold as this exclusive content filmed during the week will be presented online at www.impactwrestling.com, on social channels including YouTube, Twitter, Facebook and Instagram, as well as a variety of new distribution channels in the coming months. A longtime valued partner, Universal Studios in Orlando, Fla, will serve as the hub for TNA’s revolutionized programming strategy with shows primarily taping at their location, along with some IMPACT shows that will be filmed on the road from different markets. The first IMPACT show scheduled from Orlando will air live on November 21. Along with a refreshed creative approach, several new characters will be announced in the coming months. In recent weeks, fans have already seen Ethan Carter III (EC3) and Lei’D Tapa, TNA’s newest Knockout. Universal Studios will also serve as the primary training facility for TNA talent moving forward, providing the opportunity to train and develop talent on an ongoing basis. The strength and success of TNA’s programming worldwide is at an all-time high. TNA Wrestling ratings around the world are seeing significant increases particularly in important international television markets such as the UK and Germany where the show is the number one wrestling program on television. Additionally, TNA recently inked new deals with distribution partners in Portugal and New Zealand, renewed a multi-year deal in France, and recently-launched programming in India is performing beyond expectation. “A decade ago, TNA started as a Pay-Per-View only company only and has grown into a global success. I am more excited than ever about our ‘Where Action Never Ends’ creative direction and what will become the next evolution of professional wrestling,” said Carter.